One of the newest entries into the ever changing bedding landscape is WinkBeds. Proudly made in Wisconsin, this exceptional hybrid mattress is designed to compete with retail store beds that sell for twice the price! WinkBeds Unique dual coil system and Hyper Soft foam & gel to provide great conformity and support. 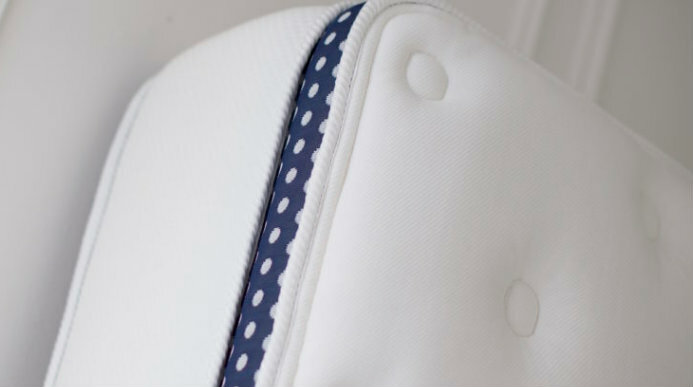 The Tinsel covering creates a natural wicking action that makes WinkBeds a cooler more comfortable sleep surface. 2017 has been an eventful year for WinkBeds. Early success has allowed the company to expand their product line. Although the Medium firm still remains their most popular mattress, WinkBeds now offers a firmer and softer bed.​ This allows for further expansion of the growing market share. WinkBeds can also stake claim to one of the most exciting bedding innovations​ of 2017. The new coolControl Mattress launched in February, offers a unique heating and cooling system. Regulate the temperature of your bed to create the ideal sleep environment! *Best Slumber receives affiliate commissions (at no additional cost to the buyer) on products featured throughout our site. It is our mission to provide unbiased insight on how to find the best possible sleep solutions. ​Tincel Fibers are used to produce cool, absorbent cover. Tinsel (sometimes called (Lyocell) is a sustainable fabric, regenerated from wood cellulose. It has similar characteristics to Rayon and Bamboo but is more sustainable and environmentally friendly.The Tinsel Covering creates a natural wicking action that makes WinkBeds a cooler more comfortable sleep surface. Tinsel is OEKO-TEX 100 Certified, assuring it is safe and suitable for children. Hypersoft foam ads some bounce while maintaining a softness that allows for conformity and pressure relief. The goal was to take the best qualities of both latex and memory foam and combine them into one sleep surface. More Bounce than memory foam, more pressure relief than latex. Stabilizing Gel Foam reduces motion transference. This is quite advantages for couples. Being awoken by your partner can be problematic. Micro Air-Springs rest just below the top layer of foam. They are designed to increase airflow. Micro Air-Springs promote moisture evaporation; keeping you dry and cool. Tempered support springs provide both proper alignment and comfort. Recycled steel is used to create this superior support system. Medium Firm: WinkBeds original mattress is still their best seller. Ideal level of firmness for most back, stomach and some side sleepers. sleepers. Soft enough to lessen pressure points but firm enough to maintain proper alignment. Soft: This mattress is recommended for side sleepers who desire more pressure relief and conformity for the shoulders and hips. Some back sleepers, particularly petite individuals may opt for the soft. A heavier individual may still prefer the Medium Firm or Firm. Typically, a larger person's body weight will be absorbed faster than a smaller body type. This is why a lighter person may interpret each bed as being a bit firmer and opt for a more plush model. For most, the soft is not recommended for stomach sleepers. This bed may allow your back to dip causing lower lumbar pain. Firm: This mattress may be a good option for back or stomach sleepers who prefer a more rigid feel. We do not recommend the firm for most side sleepers. It may cause too much pressure on the shoulders and hips. The WinkBeds Plus is specifically designed for individuals over 300 lbs. It starts with the same Hypersoft and cooling gel foam. Then 2.5" of Natural Latex is added. The extra density and buoyancy adds additional stability. It also maintains a comfortable conforming feel. These quality foams are supported by a triple-zone pocketed coil system. For those who require this additional support, WinkBeds Plus is an exceptional mattress. Whether you have been searching on line or in a traditional retail store, the plus is a substantial upgrade from most offerings in this price range. In fact, price not withstanding, it compares favorably to many beds at twice the price! WinkBeds Plus mattress is priced just marginally above their original mattress. A standard queen size mattress costs only $1,499. Introducing coolControl... The ultimate in climate control! ​In February of 2017, WinkBeds Founder Dan Adler, took time to speak with BestSlumber about the launch of coolControl. When asked about his inspiration for this project, he had this to say... “One of the most common complaints about mattresses is sleeping too hot or too cold. We saw an opportunity to address this and did a lot of research. We looked outside of our market to the automobile industry. Car seats have been heated or cooled for years. We recruited to a company called *GenTherm to produce our system. Basically, the bed is cooled or heated with a system of 4 fans than that permits conditioned air to flow through to the surface of the bed; allowing for a climate controlled sleep environment." *Genthurm, formerly called Amerigon, created the first thermoelectrically heated and cooled seat system for the automotive industry. The "Climate Control Seat" system, they developed first was first used by Ford Motor Company in 1999. It has since been implemented in over 50 makes and models. The coolControl base runs quiet and energy efficient. WinkBeds patented design processes conditioned air from your bedroom and heats or cools to the desired temperature. WinkBeds new coolControl technology takes bedroom climate control to the next level. coolControl is a mattress base allows you to adjust the temperature of each side of your bed throughout the night. WinkBeds applied the same auto industry technology used to heat and cool car seats. coolControl can lower the temperature of either side by 30% or raise it by 10%. There are 5 different settings for warmth and 5 different settings for cooling. Essentially, this creates ten different comfort presets. You can even set the timer in advance of your sleep time so the bed is ready when you are. CoolControl comes with a full 10 year non prorated warranty that is honored through Gentherm. Adaptations to WinkBeds mattress must be made prior to shipment to make it compatible with coolControl base. For that reason, coolContol system must be purchased as a set. Free delivery to your door within the United States. A white glove delivery is available for $99. Removal of your old bedding is available with white glove delivery. The total cost of in home delivery, setup and delivery is $159. To be clear, WinkBeds is not a bed in the box. It will arrive to your home like any other traditional mattress. A standard queen is 14 1/2" X 60" X 80" and weighs 79 lbs. Unless you have a couple sets of strong hand available, we recommend using the white glove service. Your mattress is built to order and generally takes between 7 - 10 days from date order is placed. WinkBeds has a full 10 Year Replacement Warranty. They promise to repair or replace your bed for the duration. There is no deductible. There are some companies that offer longer coverage but closer examination reveals hidden costs. This is not the case with WinkBeds. This is a straightforward honest warrantee and one of the best we have reviewed. WinkBeds offers a full 101 day Comfort Guarantee. If you do not love your new mattress, return it free of charge for and receive a full refund! WinkBeds offers free delivery and free pick up if you are not fully satisfied! Now, with three distinct comfort options, WinkBeds has a mattress for everyone. An exceptional warranty and comfort guaranty make this mattress hard to pass up! While many online bedding companies offer foam only options, WinkBeds provides an excellent alternative to those who prefer a traditional innerspring feel. 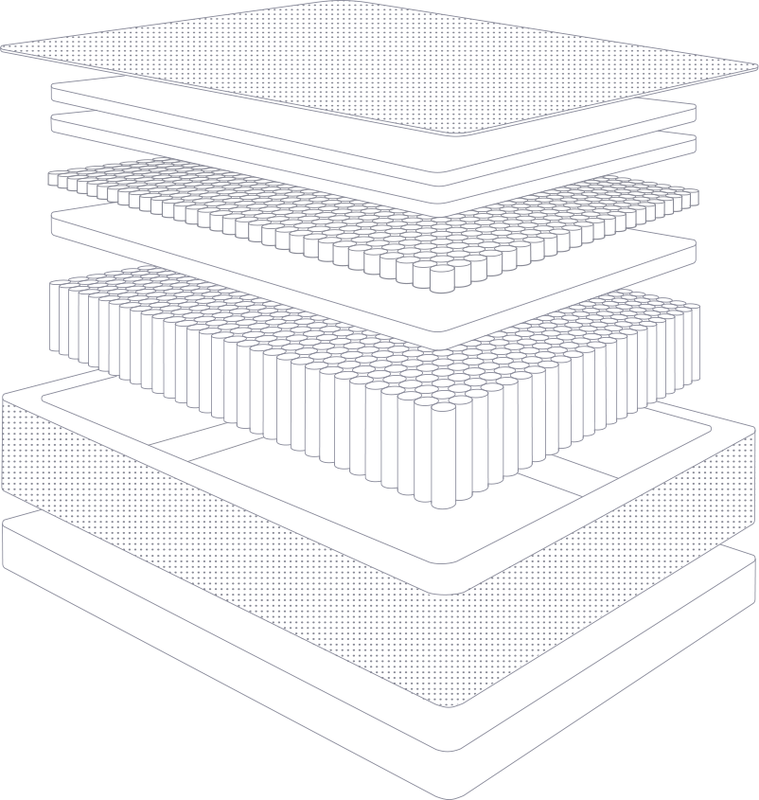 Cutting out the middleman allows WinkBeds to price these beds far below retail store mattresses of similar feature orientation. This years introduction of coolContol and Winkbeds Plus are further evidence evidence​ this company is an innovator, not a follower! Multiple comfort feels means there is a mattress for every sleeper. Individually Pocketed coils reduce motion transfer. Couples feel their partner's movements less which promotes more restful nights! Quality foams ad conformity and pressure relief. Free delivery and pickup if you don't love your bed! On line assistance is outstanding! Not only is there someone there to answer questions, They provide knowledgeable, insightful answers. Some company's attendants simply respond by directing you to a page on their site or copy and past a stock answer. We found WinkBeds online assistance to be a cut above the competition. WinkBeds mattress is a Hybrid which by design blends the features of both all foam and innerspring beds. That said, it will appeal more to those who prefer the familiarity of a coil unit. It will have a little more push back and a bit less of a sink in feel. This may not appeal to someone seeking a true spring free experience. It's not a question of right or wrong. It's more a question of personal preference. Is WinkBeds right for you? While many online bedding companies offer foam only options, WinkBeds provides an excellent alternative to those who prefer a traditional innerspring feel. Cutting out the middleman allows WinkBeds to price these beds far below retail store mattresses of similar feature orientation. The WinkBed is the Holy Grail of mattresses! I now sleep 6-8 hours a night instead of 3-4 hours a night. I started dreaming again after a nearly 20 year absence of dreams. Life is terrific! We purchased a twin winkbed mattress a year ago and my daughter loves it! It is by far the best mattress purchase we have made. Every time I put her to bed I lay down next to her and don't want to leave. Very well made, still feels and looks brand new, and extremely comfy and supportive. Purchased directly from WinkBeds and not through Amazon. I'm a researcher at heart and there is entirely too much information regarding mattresses on the internet. My advice, do a bit of research but don't go overboard or you get lost in a quagmire of conflicting opinions on what to sleep on. Bought this bed because my wife and I were experiencing back pain with our old bed. Since we bought this. I back pain has been relieved and 2 years later it is still holding up. Great all around bed with a great when compared to others that offer similar features. We usually do not like a softer mattress. But this one is soft and supportive all at the same time. We are sleeping very well and would recommend this mattress. Only downside would be that you can feel when a the other person get on or off the bed. ​It has just the right amount of softness without compromising support. My (old) back feels good every morning!